It's 01:56 in McKees Rocks, USA right now. 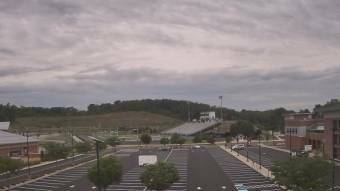 Montour High School A webcam in McKees Rocks, Pennsylvania - camera location: Montour High School. Carnegie, Pennsylvania: Carlyton Jr Sr High School, 4 miles away. Sharpsburg, Pennsylvania: Camp Guyasuta, 7.6 miles away. Sewickley, Pennsylvania: Sewickley Academy, 7.9 miles away. Wexford, Pennsylvania: Wexford Elementary School, 11.1 miles away. Jefferson Hills, Pennsylvania: Jefferson Elementary School, 13.9 miles away. Canonsburg, Pennsylvania: Canon McMillan High School, 15.4 miles away. New Kensington, Pennsylvania: Valley Middle School, 17.4 miles away. Burgettstown, Pennsylvania: Burgettstown Area School District, 18.1 miles away.